Application Start: 31 July, 2018. Last Date of Application : 26th August 2018. 1) Ka Unit Admission Test: 28th September, 2018. 10 am. 5) Cha Unit Admission Test: 15th September, 2018. 1) If you already applied last year you can not apply this year, One student can apply one time according to Dhaka University Act. 3) During Application process you should enter your or relative mobile number for further communication. But you can send SMS through third party mobile number. 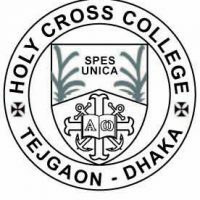 Then Enter HSC / Equvalent Examination Roll Number, Passing year, Board and SSC/Equivalent examination Roll number. In the Next stage, Applicant will upload photo, personal mobile number and quotation information (if). Enter code to the box, Click ‘Confirm” button. Applicant can collect Admit card from this page after completion deposit. Print the ‘Payment Slip’ and go to any branch of Janata, Sonaly, Agrani or Rupali Bank to deposit money. The representative will return “applicant copy’ part of the application after completion payment. After few hours you can Download your Admin Card from the same web page. Admission Test : Ka Unit Admission Test: 28th September, 2018. 10 am. 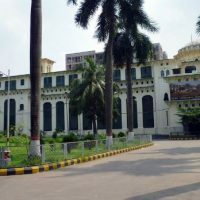 Qualification: Students who passed SSC or Equivalent from 2012 to 2015 and passed HSC or Equivalent in 2018 can apply for Dhaka university admission. Students with minimum GPA 3.5 in SSC and HSC with 4th subject separately; total GPA 8.0 in both examinations are qualified for the admission. Examination time: 1 hour 30 minutes. Question Type: 120 mcq questions for 120 numbers. Wrong Answer: 0.25 number will be cut for wrong answer. Subjects: Physic, Chemistry, Higher Math, Biology. Students are allowed to choose Bangla or English instead of 4th Subject. Admission Test Result: within one week of examination. 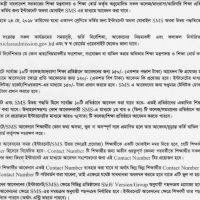 ঢাকা বিশ্ববিদ্যালয় ক- ইউনিট – Dhaka University Ka Unit Admission Requirements. 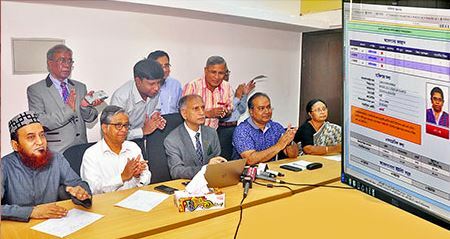 বিভিন্ন বিভাগে আসন সংখ্যা – Dhaka University Ka Unit Total Seats. পুষ্টি ও খাদ্য বিঙ্গান ইনস্টিটিউট: Food and Nutrition Department. ইনস্টিটিউট অব লেদার ইঞ্জিনিয়ারিং : Institute of Leather Engineering Department.